What Are The Classifications Of Commonly Used Relays? 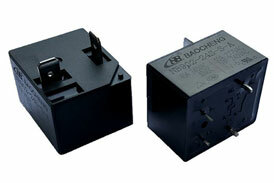 As a Relay Electronics Wholesaler, let's introduce the classification of commonly used relays. 1) Electromagnetic relay: An electrical relay that works by the suction force generated between the electromagnet core relay and the armature in the circuit of the input circuit. 2) Solid state relay: A type of relay in which the electronic component performs its function without mechanical moving parts, and the input and output are isolated. 3) Temperature relay: A relay that operates when the outside temperature reaches a given value. 4) Reed relay: a relay that opens, closes or switches the line by using a reed action that is sealed in the tube and has the dual action of the electric spring and the armature magnetic circuit. 5) Time relay: When adding or removing the input signal, the output part needs to delay or limit the time to close or open its controlled line relay until the specified time. 6) High-frequency relay: A relay used to switch high-frequency, RF lines with minimal loss. 7) Polarized relay: A relay that has a polarized magnetic field and a control action that operates by a combination of magnetic fields generated by the control coil. The direction of operation of the relay depends on the direction of the current flowing through the control coil. 8) Other types of relays: such as optical relays, acoustic relays, thermal relays, instrumentation relays, Hall effect relays, differential relays, etc. 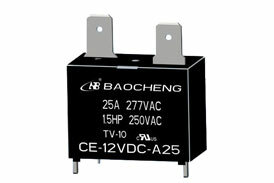 4) High-power relays such as High Load Relay. Next: How To Choose High Power Relays? 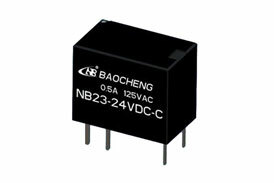 NINGBO BAOCHENG ELECTRONICS CO., LTD.
As a 12V Relay Wholesaler, today we will analyze the things to be aware of when using small high-power relays. Copyright © Ningbo Baocheng Electronics Co., Ltd.